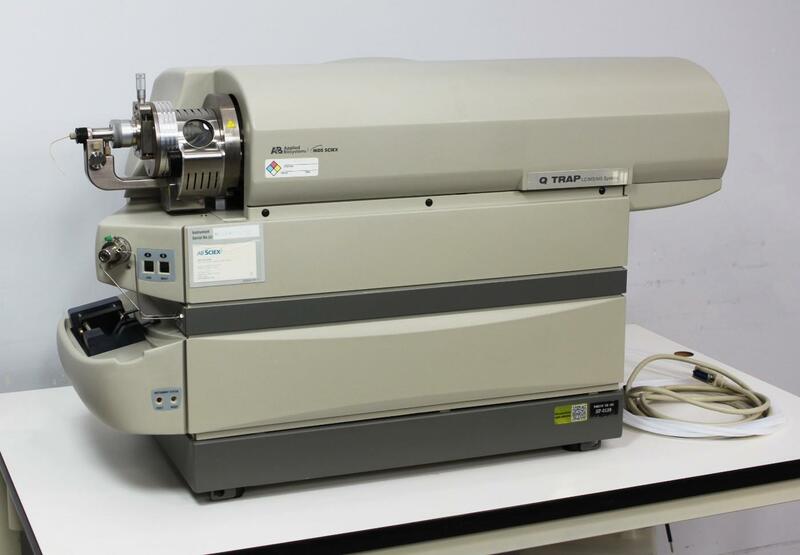 AB Applied Biosystems MDS Sciex QTRAP LC/MS/MS Mass Spectrometer 027170 . New Life Scientific, Inc.
and software will need to be acquired to operate this instrument. As indicated in the photos, the internal components are in exceptional condition. marks and a small patch of paint peeling in the front tray. inject button were also observed to be functioning normally. No problem was found with this QTRAP system.